European Union member states unanimously reject the US recognition of Israeli sovereignty over the Golan Heights, saying the shift in longstanding American foreign policy was not in keeping with international law. On Monday, Trump formally signed the proclamation alongside Prime Minister Benjamin Netanyahu, reversing more than a half-century of US policy in the Middle East. The US is the first country to recognize Israel’s sovereignty over the Golan, which the rest of the international community regards as occupied territory. Egypt’s actors union has revoked the membership of two performers after they took part in a briefing in Washington on proposed constitutional changes that would allow President Abdel-Fattah el-Sissi to extend his rule. The union is accusing Khaled Abol Naga, also known as Kal Naga, and Amr Waked of treason. Both actors are based in the United States, and have appeared in American and Middle Eastern films and TV series. They joined Democratic congressman Tom Malinowski and others in a briefing this week on proposed changes that would further enshrine the military’s role in politics and potentially allow Sissi to stay in power until 2034. Critics of the proposals argue that Egypt is slipping back into authoritarianism eight years after a pro-democracy uprising toppled longtime President Hosni Mubarak. Most Israelis are not satisfied with the government’s response to recent rocket fire from the Gaza Strip, according to two new polls, but Prime Minister Benjamin Netanyahu remains the most popular candidate for prime minister in the April elections. An Army Radio poll found that 54% of Israelis think Netanyahu’s handling of the recent rocket fire was unsatisfactory, and of those, 30% said the response was very unsatisfactory. By contrast, 35% said they were pleased with the response, which included airstrikes against dozens of Hamas terror group sites in the Gaza Strip. In another poll, by the Kan public broadcaster, 53% say the IDF response to rockets was too weak, 29% said it was proportional, and 3% said it was too harsh. 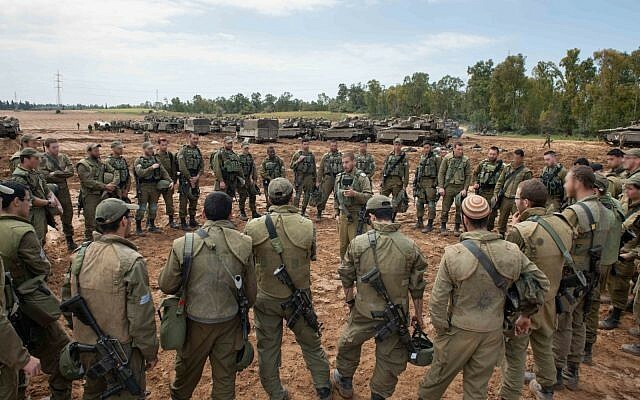 IDF Chief of Staff Aviv Kohavi orders troops along the Gaza border to remain on alert for “various scenarios in the region,” the army says, amid peak tensions between Israel and terror groups in the Strip. Earlier in the day, Kohavi visited the Gaza Division and met with its commander Brig. Gen. Eliezer Toledano, along with Southern Command chief Maj. Gen. Herzi Halevi. “During their situational assessment, the chief of staff demanded the troops be prepared for various scenarios in the region,” the army says. The military says this especially applies for the infantry, armored and artillery reinforcements that were recently sent to the region. In an earlier statement, EU member states unanimously rejected the US recognition of Israeli sovereignty over the Golan, saying the shift in longstanding American foreign policy was not in keeping with international law. Trump formally signed the proclamation alongside Prime Minister Benjamin Netanyahu on Monday, reversing more than a half-century of US policy in the Middle East. The US is the first country to recognize Israel’s sovereignty over the Golan, which the rest of the international community regards as occupied territory. Hamas’ supreme leader makes his first public appearance in the Gaza Strip this afternoon since a new round of violence with Israel broke out this week. Ismail Haniyeh visits the rubble of his Gaza City office, which was destroyed in an Israeli airstrike on Tuesday. Haniyeh had been in hiding during the two-day flare-up of violence, which ended with an unofficial Egyptian-brokered cease-fire. He urges Palestinians to take part in Saturday’s border protests, the one-year anniversary of the ongoing Hamas-led demonstrations against Israel. British Prime Minister Theresa May is facing more calls to resign during a bruising question-and-answer session in the House of Commons. May is also facing calls from inside her Conservative Party to quit so that another leader can take over the next stage of Brexit negotiations. She is due to meet Conservative backbenchers later today. Jeremy Corbyn says the "country is on hold" because of government's #Brexit "paralysis", calling on the PM to "change course or go"
Leader of the far-right Yachad Party Eli Yishai pulls out of next month’s elections, and throws his support behind ultra-Orthodox United Torah Judaism party. Yishai, the ex-leader of the ultra-Orthodox Shas, is backing UTJ in the April elections over his former party. 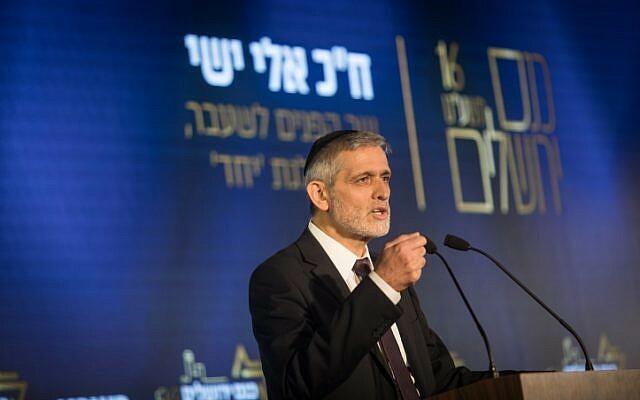 The announcement comes days after Prime Minister Benjamin Netanyahu urged Yishai to take Yachad out of the race for the 21st Knesset to avoid losing right-wing votes. 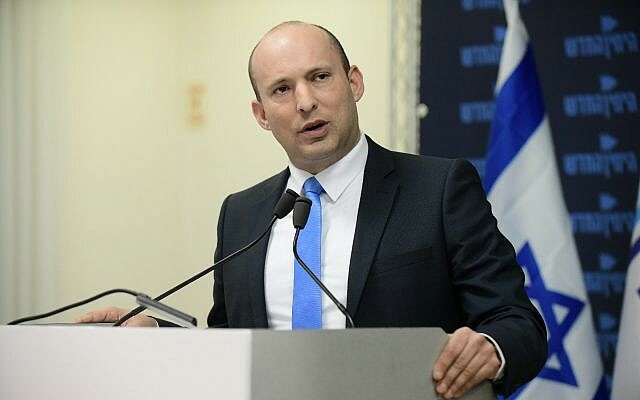 Recent polls indicated that Yachad will fail to garner enough votes to reach the 3.25% electoral threshold required for a party to enter the Knesset. The Foreign Press association is calling on the Israeli government to ensure the free passage of journalists in and out of the Gaza Strip, saying the “ongoing delays” at the Erez crossing were illegal. 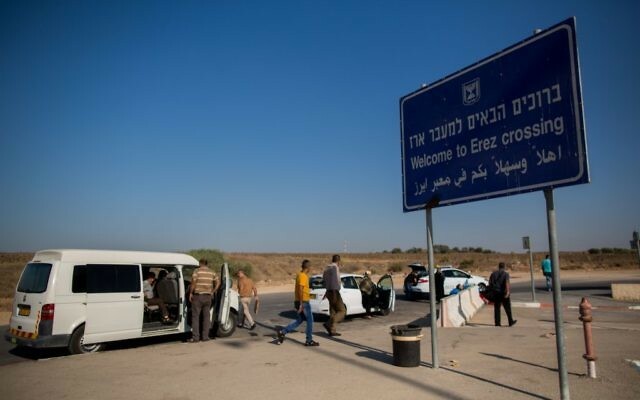 In a statement, the press group says that delaying entry to journalists through the Erez crossing was in violation of a 2009 Supreme Court ruling on the matter. “The FPA demands the immediate opening of the Erez crossing for the passage of accredited foreign journalists in both directions,” the statement says. The UN Security Council will convene a session tonight to discuss the US recognition of Israel’s sovereignty over the Golan Heights following a request by Syria. 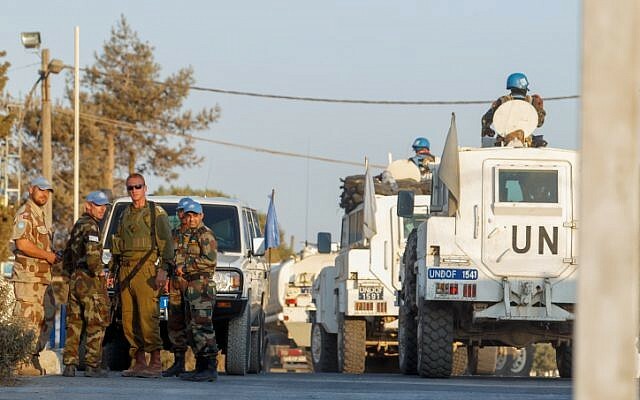 The public discussion set for later this evening will also discuss the activities of the UN Disengagement Observer Force, the peacekeeping force deployed between Israel and Syria in the Golan. A new report from the State Comptroller’s Office claims that several years ago police illegally offered a massive contract to a cybersecurity company without first issuing a tender. Though neither Blue and White leader Benny Gantz or his now defunct company are directly named in the report, Haaretz last month reported that police spent millions of shekels on a pilot program run by Fifth Dimension that offered artificial intelligence solutions to law enforcement agencies. The report said the joint venture amounting to NIS 4 million ($1.1 million) went ahead in 2017, without a tender as required by law. 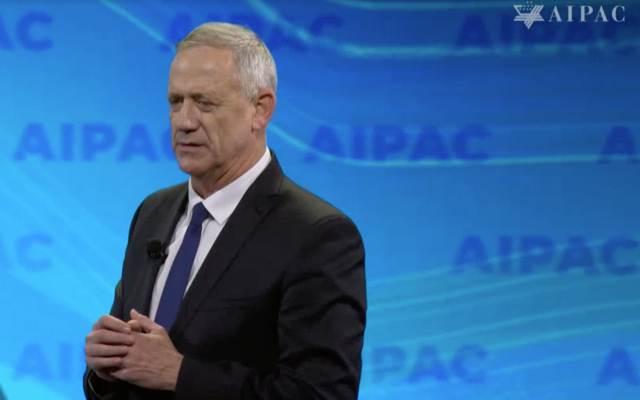 The Likud party immediately demanded police open a criminal investigation into Gantz, who is Prime Minister Benjamin Netanyahu’s main rival in next month’s elections. Israel says that more than 2,000 violent incidents have emanated from the Gaza Strip since Hamas-orchestrated weekly border demonstrations erupted a year ago. An Israeli statistical review published found that Palestinians launched 1,233 rockets from Gaza, hurled 94 explosive devices and 600 Molotov cocktails across the security fence and committed 152 acts of arson against Israeli forces. The report says that rocket fire killed one person in Israel and injured 126. Palestinian attacks on the security fence killed one Israeli soldier and wounded 16. It says incendiary kites have torched thousands of acres of Israeli farmland, inflicting over $9.5 million in damage. Israel has come under criticism for using disproportionate force against unarmed protesters. Over the past year, nearly 200 Palestinians have been killed by Israeli fire. Pittsburgh City Council passes initial gun-control legislation introduced in the wake of the synagogue massacre. The council began hearing public comment on the bills this morning, and later voted 6-3 place restrictions on military-style assault weapons like the AR-15 rifle that authorities say was used in the attack that killed 11 and wounded seven. Gun-rights supporters are promising to file suit if the council passes the legislation. They say state law prohibits municipalities from regulating guns. US Secretary of State Mike Pompeo suggests that an upcoming US peace plan would break with longstanding understandings on issues such as Jerusalem and Israeli settlements, saying the old approach had failed. 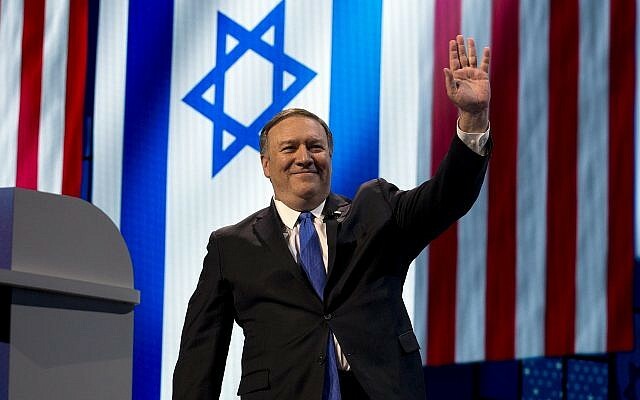 “I’m very confident that what was tried before failed and I’m optimistic that what we’re doing will give us a better likelihood that we’ll achieve the outcomes that would be better for both the people of Israel and the Palestinian people as well,” Pompeo says as he testifies before Congress. Pompeo says the United States wanted to “broaden the debate,” when asked if a peace deal would focus as in the past on establishing borders, mutual recognition and the status of Jerusalem, Israeli settlements in the West Bank and the issue of Palestinian refugees. “Those are the parameters that were largely at hand in the discussions before and they led us where we are today — no resolution,” Pompeo says. Syria’s Foreign Ministry is calling on the UN human rights commissioner to denounce US President Donald Trump’s recognition of Israel’s sovereignty over the Golan Heights. The ministry’s statement says Trump’s decision this week is a “blatant aggression” against Syria’s territorial integrity and sovereignty, as well as a violation of the UN charter and international law. It calls on UN High Commissioner for Human Rights Michelle Bachelet to publicly say Trump’s decision endangers the rights of Syrians living in the Golan. 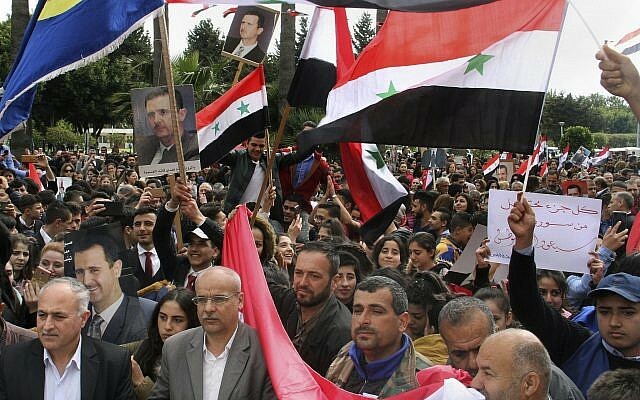 Thousands of Syrians have held rallies in cities controlled by President Bashar Assad’s government against Trump’s announcement. In the coastal city Tartus, hundreds are gathering outside the governor’s office in protest. Police sappers defuse an incendiary device attached to a cluster of balloons that landed in an agricultural field in the Lakhish Regional Council, in southern Israel. Prime Minister Benjamin Netanyahu convened his top defense officials earlier today to discuss the recent flareup in the Gaza Strip. Netanyahu, who is also defense minister, met with IDF chief of staff Maj. Gen. Aviv Kohavi, head of the National Security Council Meir Ben-Shabbat, head of Shin Bet security service Nadav Argaman and other top officials at the IDF headquarters in Tel Aviv, according to a statement from the Prime Minister’s Office. An unofficial ceasefire between Israel and Gaza’s Hamas rulers appears to be holding despite limited exchanges of fire. US President Donald Trump demanded Wednesday that Russia drop support for Venezuela’s leader Nicolas Maduro after Moscow deployed troops and equipment to bolster the hard-left government. “Russia has to get out,” Trump says at the White House alongside Fabiana Rosales, wife of opposition leader Juan Guaido, who has been recognized by the United States and more than 50 other countries as Venezuela’s interim president in place of Maduro. Trump says “all options are on the table” when asked by journalists if the United States was considering military action to back up a major campaign of economic sanctions aimed at crippling the Maduro government’s finances. “They’ve got a lot of pressure right now. They have no money, they have no oil, they have no nothing. They’ve got plenty of pressure right now. They have no electricity,” he says. The IDF declines to comment on the death of a Palestinian teenager identified as a volunteer medic during overnight clashes in the West Bank city of Bethlehem, saying only that troops were responding to a “violent riot” in the area. “Dozens of rioters hurled blocks and firebombs at the troops, who responded with riot dispersal means,” the IDF says. The IDF says it received a report regarding an injured Palestinian, but does not give further details. Earlier, the Palestinian health ministry identified the teen as 17-year-old Sajid Muzher. The Palestinian Medical Relief Society confirmed Muzher was working with them, saying in a statement he was shot while trying to treat a person wounded in clashes. In a blog post, the social network says it previously linked expressions of white nationalism with broader concepts of nationalism and separatism — such as American pride or Basque separatism, both of which are still allowed. 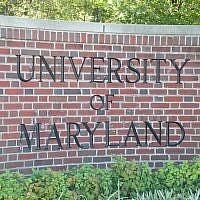 But civil rights groups and academics called this view “misguided” and have long pressured the company to change its stance. Facebook says it concluded after months of “conversations” with them that white nationalism and separatism cannot be meaningfully separated from white supremacy and organized hate groups. Authorities in Berlin say they have banned a Palestinian ex-terrorist from taking part in a political rally in the German capital. Odeh was convicted in 1970 of two bombings in Jerusalem, including one that killed two men at a supermarket. 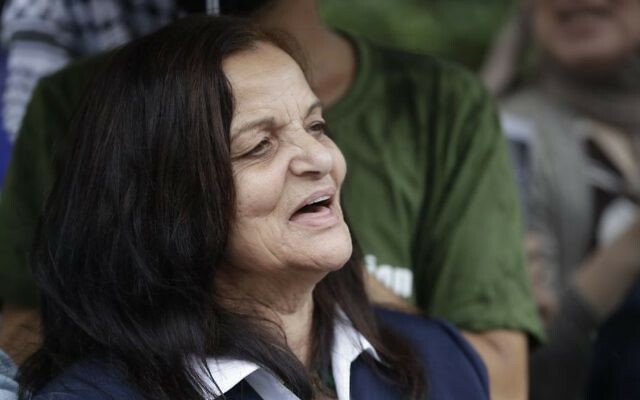 Odeh claims she was tortured into confessing by the Israeli military. A delegation of Egyptian mediators working to negotiate a ceasefire deal between Israel and Hamas is entering the Gaza Strip via the Erez crossing for meetings with top Palestinian officials in Gaza, according to the Ynet news site. 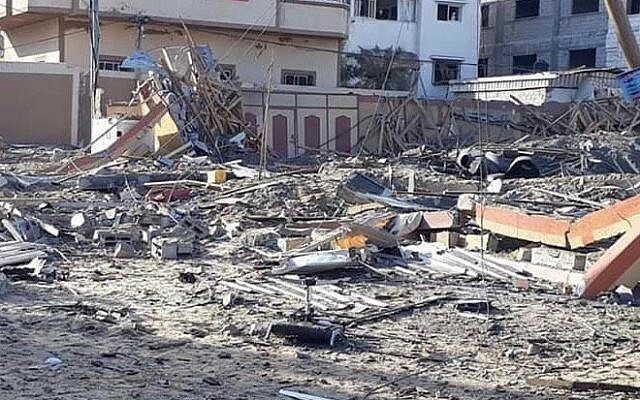 The report says the Egyptian delegation met with Israeli defense officials earlier today, where government laid out its demands for a truce in Gaza. The mediators will pass along the Israeli demands to the Hamas leadership ahead of this weekend, when large-scale protests are expected along the Israel-Gaza border marking the one-year anniversary of the so-called March of Return weekly rallies. 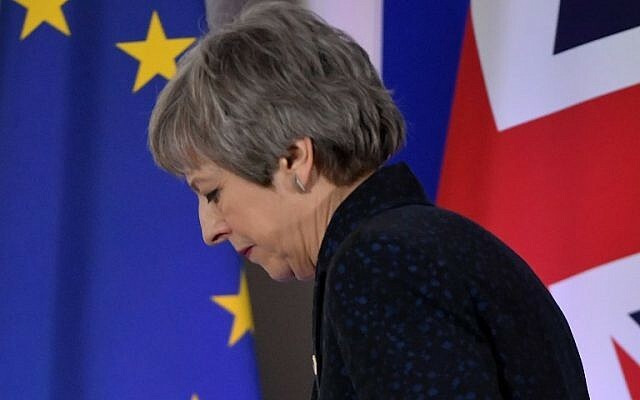 UK Prime Minister Theresa May has told Conservative Party lawmakers that she will quit once the country has left the European Union — but she didn’t set a date. Those will deal with Britain’s future relationship with the EU. The World Health Organization condemns the killing of a Palestinian medic by Israeli forces near the West Bank city of Bethlehem during overnight clashes. “Health care is not a target,” he says. Sajid Muzher, an 18-year-old emergency medical worker, was shot overnight while in uniform, tending to Palestinians wounded during clashes with the Israeli army in Dheisheh refugee camp near Bethlehem, according to the Palestinian health ministry. Muzher was hit in the abdomen and rushed to the hospital, where he was later pronounced dead, the ministry said. The ministry said Israeli soldiers shot Muzher after stones were thrown at them during an arrest raid. The IDF declined to comment on Muzher’s death, saying only that troops were responding to a “violent riot” in the area. 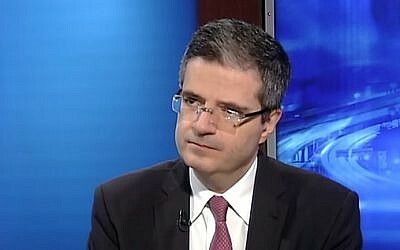 His comments to the Security Council reflect growing uneasiness in the international community about the US plan, expected after Israeli elections April 9. 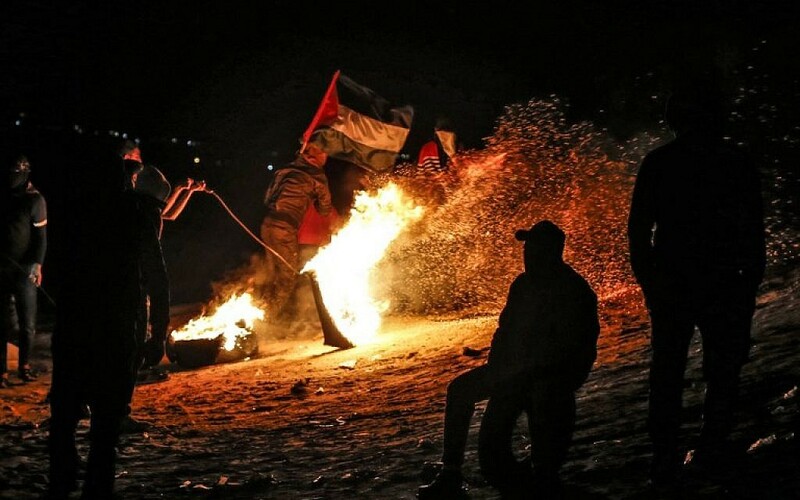 Palestinian protesters are clashing with Israeli security forces along the border of the southern Gaza Strip, according to reports in Israeli and Palestinian media. Reports says the so-called “night confusion units” are launching incendiary balloons towards Israel and hurling explosive devices at Israeli troops. Residents of nearby Israeli communities report hearing sounds of explosions. The clashes come after a day of relative calm in and around Gaza, as Egyptian mediators are meeting with top Hamas officials in a bid to negotiate a ceasefire deal with Israel. 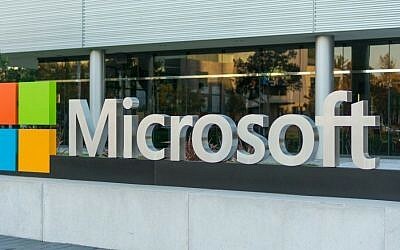 The company says it took control of the websites after suing the hacking group and obtaining a US judge’s approval. Today’s announcement ties the hackers to the country of Iran but not specifically to its government. A spokesman for Iran’s mission to the United Nations didn’t immediately respond to an email seeking comment. 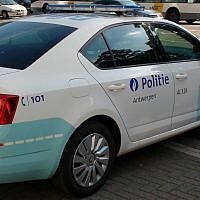 A Border Police officer was injured by a vehicle near the southern city of Beersheba as the driver attempted to evade a check of his car. A statement from police says that security forces are searching the Ramat area for the suspect. 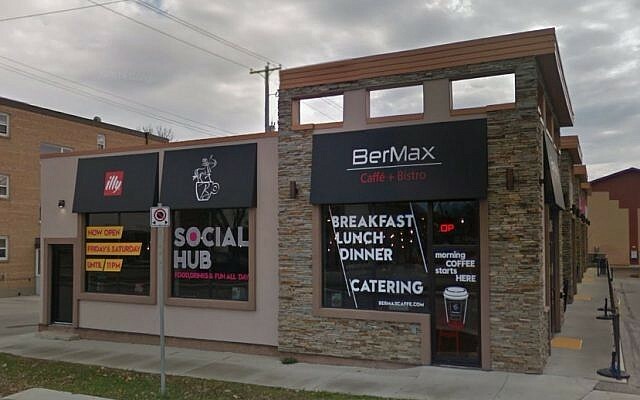 Police did not say what condition the officer was in. 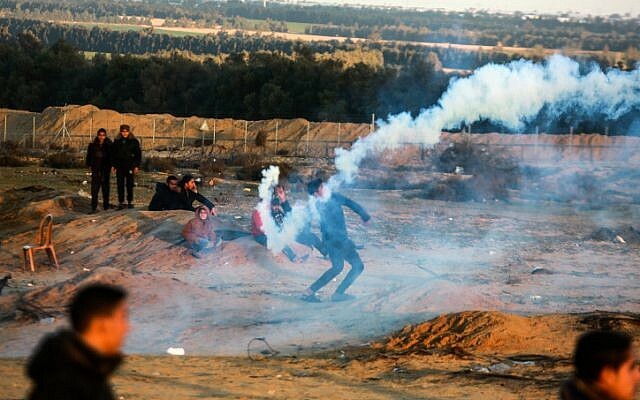 Three Palestinians are injured by IDF fire during clashes with Israeli security forces adjacent to the Jabalia Refugee Camp in the northern Gaza Strip, according to Palestinian media reports. A tanker that picked up migrants off Libya has changed course for Europe, Italy’s far-right Interior Minister Matteo Salvini says, accusing those rescued of having hijacked the vessel. The Palau-flagged tanker Elhiblu I picked up the migrants last night in waters where Libyan coastguards are responsible and then headed back to Tripoli. But six nautical miles from port the ship suddenly changed course heading north, and is now halfway between Tripoli and Malta, according to Salvini. “They’re not shipwrecked, they’re pirates!” Salvini tweets, promising that they would not be allowed to disembark in Italy. The Libyan authorities and the ship’s operator in Tripoli were not immediately available for comment. The Hamas-run education ministry in the Gaza Strip cancels school on Saturday to allow school children to participate in the mass border protests that are expected over the weekend. The announcement comes as Egyptian mediators are meeting with senior Hamas officials in a last-ditch effort to reach a ceasefire deal with Israel before Saturday, when thousands of Palestinians are expected to mark the one-year anniversary of the weekly border rallies.